Sara Yoheved Rigler, one of the leading lights of Torah literature and the author of the bestselling biography Holy Woman, opens our eyes to Hashem’s boundless love and caring as we uncover His “heavenprints” in these unusual, captivating true stories and essays. 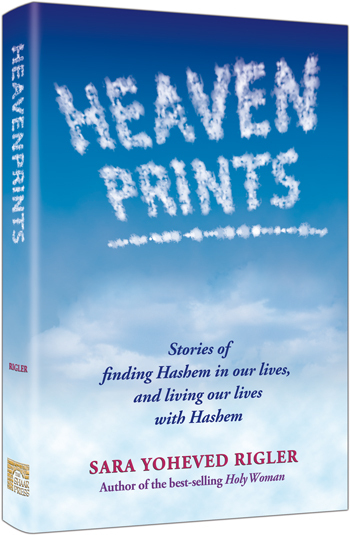 With deep insight into both our human nature and our Divine gifts, the author gently shows us how to look for “heavenprints” in our own lives and challenges. Don’t forger: ArtScroll’s June Sale continues: save 20% on all books!